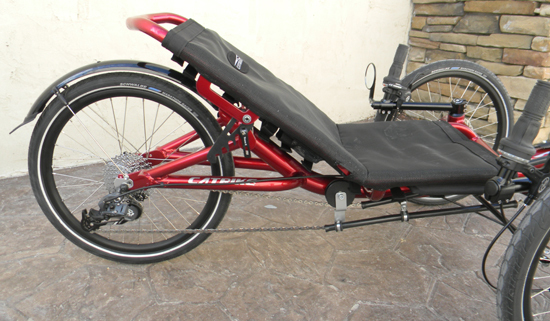 Catrikes are known throughout the industry to be some of the best mid-to-high-level trikes available. At the Big Cat factory we saw the engineering behind them and learned why the Catrike models are always consistently built to such a high quality. We had the opportunity to be in Florida for the Big Cat Rally and got to spend some personal time with the engineers, machinists, and welders who turn aluminum tubing into the trikes we love to ride. While most manufacturers are secretive of their production methods, Paulo, the owner and genius behind the company, is surprisingly open about how their trikes are made, and even gave us demos of each step. The Catrike models are all made in Florida by an incredible team. While the factory is not huge, it is a great model of efficiency. Paulo has spent a lot of time perfecting their just-in-time approach to production. Big Cat uses parallel manufacturing processes whenever possible: while parts and components are gathered together on one side of the shop, the frame is being built on the other. Everything comes together to be boxed up by the dock in time for daily pick ups. The "Made in USA" logo on each Catrike is not just a marketing ploy. These guys really care about keeping production in-house. To further that goal, they recently purchased their own wheel-building machine from Holland Machinery to give them more control over their supply chain and the quality of their product. While the fancy new wheel robot might be what wows the general public, most of us in the manufacturing business are immediately attracted to the many jigs throughout the shop. With each model designed in SolidWorks, the engineering team, led by Lynn, is able to create virtual jigs and then assemble them using custom extrusions. Jigs for cutting and sizing each piece of the frame are made and then others are created to put together the whole trike. There are jigs for each model and each piece. This method allows for extremely high tolerances and consistent build quality. The final assembly is welded precisely, heat treated, and then powder coated on site. It�s hard to imagine being more perfect without splitting a few atoms. While the Rally was certainly great, our primary reason for being in Florida was to witness the birth of the newest Cats. If you�ve read our earlier article about the Catrikes its easy to look at their frames and think that the flowing tubing design of the frame would be easy to create. The truth is Big Cat spent months designing the new G2 versions of the Villager and Trail together with a lot of virtual testing before the first prototype was made. One of the main challenges was that they wanted to add the feature of a folding adjustable seat and still make it look like a Catrike. Let's just say they succeeded, and they did it with style. When it comes to quality and finish, the new Villager is no different than any other Catrike that we�ve seen. Each weld is placed with perfection and care, ensuring each bead is the same shape and size as the last. The frames are washed with three different types of cleaners to ensure there are no imperfections or bumps in the paint, giving these trikes a very clean finish. The new frame design is known in-house as the �Generation 2 Space Frame�. 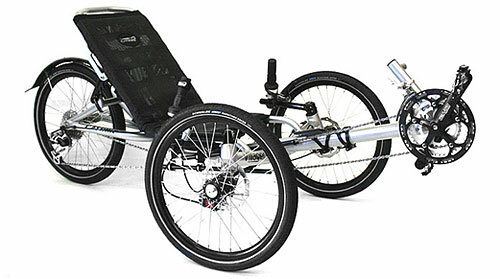 While the standard feature of the Catrike frame has been the integrated seat, the G2 frame diverges from this. The new frames sport a triangulated rear end to give the frame the stiffness and rigidity required to bear the name "Catrike", without the seat factoring into it. Lynn told us that having the solid rear end was her primary concern during the design phase and that she lost a lot of sleep over it. Rest well, Lynn, rest well. You hit the bulls-eye. All of this new engineering was done ultimately to allow the seat back to function independently from the main frame. The hinge supports are incredibly solid. The pivots are Teflon/PTFE coated making for smooth action when adjusting the seat angle. The mechanism is built to last and the seat is designed to be adjusted and folded as a matter of routine. The seat sports five different adjustment positions with anodized CNC brackets that attach to the rear frame via quick release locks. There is no slop in this seat. Once locked down, you'd never even know it's capable of such mobility. The seat will move five degrees farther forward than the previous fixed frame, and will move fifteen degrees farther back. This gives you the freedom to set the seat forward giving you a great field of view, and afterwords you can lay the seat back for a more sporty feel. The seat also retains those handy little pockets on the back and underneath for storing random bits and pieces. Having the adjustable seat did cause the weight of the trike to go up by a pound. For most people, we think the flexibility of the trike more than makes up for the extra weight. Combined with the adjustable boom and handlebars, the new Trail and Villager will accommodate just about any rider. The components on the Villager haven�t changed. The stock configurations still uses bulletproof SRAM shifters and derailleurs, Avid brakes, and Cane Creek sealed bearings combined with their own Teflon bearings in the head sets. The Trail and Villager now share common pricing. The Villager G2 is easily one of the most comfortable trikes I have ridden. For someone who is used to riding the laid-back angle of the famous Catrike 700, the Villager has never really appealed to me, however, after kicking the seat back and cruising with it around Florida when it was released, and now here at the shop, I�m really blown away with the angle options. Being able to lay the seat back, as far as it does, and then push it all the way up, makes it easy for anyone to like the new Villager. Adjusting the seat angle will affect your center of gravity as well as the comfort at which you pedal. In the middle seat position the new G2 trikes don�t handle much different than their predecessors. If anything, I think the new frame is more rigid ad you�ll feel more grip in the corners. Overall the feel is more responsive. Start playing with the seat angles and it becomes a game changer. With the seat laid back, this around-town cruiser turns into a sport-hungry Catrike, without sacrificing its refinements in stability, or handling. With the seat in its most forward position it gives you the chance to relax, and enjoy the veiw. The width of the trike keeps everything stable and predictable at any speed or seat angle, giving confidence under any riding conditions. The new Villager gives you everything that anyone ever wanted out of the the previous version. It still maintains the same seat height and width which makes it easy for anyone to get in and out of. 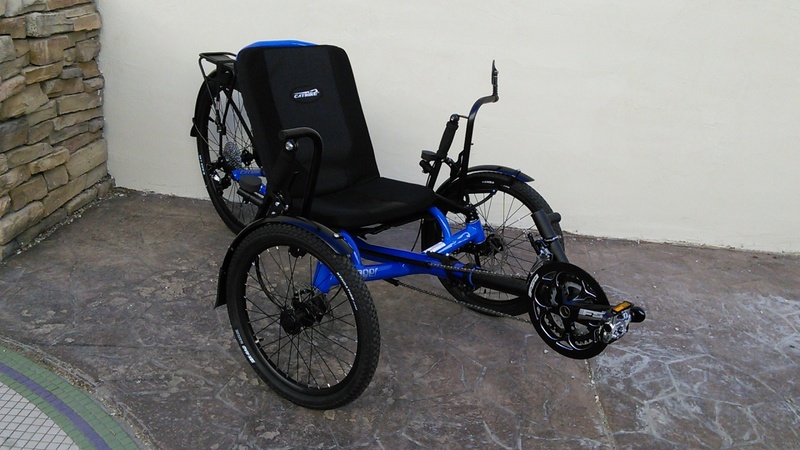 With the ability to adjust the seat angle it is the perfect trike for those that are new into trikes and want something that sits upright. Overall the new 2011 Catrike Villager delivers everything you would expect from the Villager and then some. 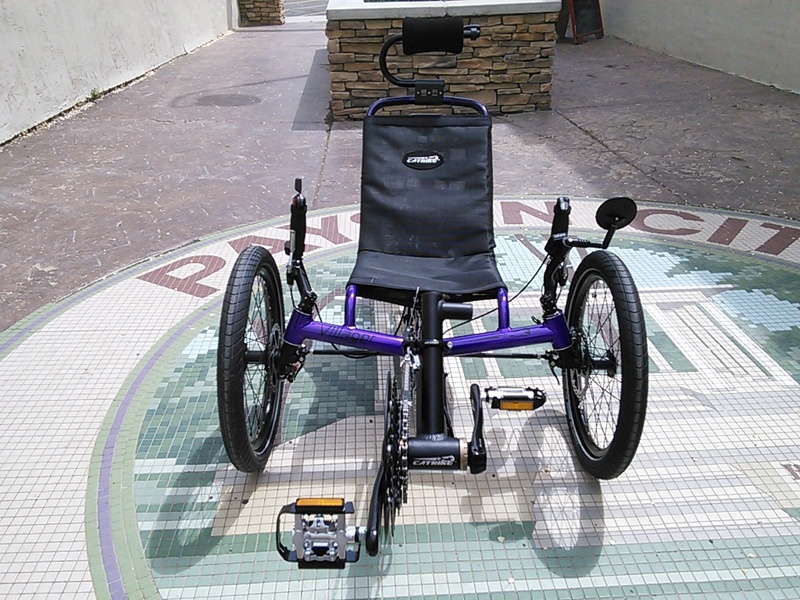 The adjustability means that this trike will fit just about anyone, beginners and veteran riders alike. The frame feels great, the seat angles are more than acceptable, and the ride is one that won�t easily be forgotten. As for Big Cat: This company is just inspiring. The teamwork is fantastic. And their trikes are terrific.